VPS hosting i.e. virtual private server hosting is a hosting solution which is flexible and economical and can be scaled according to the requirements. It can fit the needs of almost any kind of website. It is absolutely perfect for those who have surpassed their hosting plans which were shared and they do not wish to switch to a dedicated server. The term Virtual Private Server is used to emphasize on the fact that the virtual machine is although running on the same physical computer as the virtual machines of other customers for software but with respect to functionality it is equivalent to a separate physical computer and is completely dedicated to serve to the requirements of an individual customer. Shared hosting means that your site is hosted on a particular machine with a couple of other websites. Every one shares the same resources like RAM, CPU and the disk space. The website can use what it needs from the available resources. If the particular resource that is needed is not available then nothing can be done and this is the drawback of shared hosting. 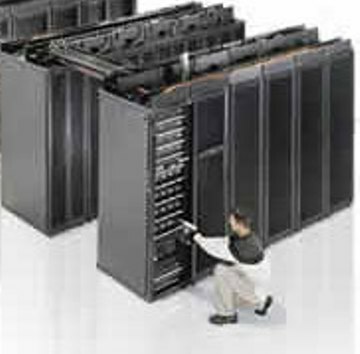 In a dedicated server your website is the only website being hosted on that server. All the resources are available to you all the time. Dedicated hosting is meant for those websites which are large and have big databases and experience lot of traffic. Such a site is not suitable to be hosted by shared hosting. Dedicated servers are expensive whereas one can host a website on a shared server for less than $10 every month. A VPS hosting is said to be a flexible solution because its features fall between that of a shared server and a dedicated server. A site which is hosted on a VPS has its own RAM and disk space just like a dedicated server. But like a shared hosting server it shares the CPU i.e. the processing capacity with the other sites that are being hosted on the same VPS. The criteria to judge whether you need a VPS or not is to consider a few facts about your site, like if your website primarily constitutes of static HTML based content then you will probably not require a VPS hosting package for your website. On the other hand if you have a large number of files stored and have multiple sites and you have dynamic data on your website then you definitely require a VPS hosting. VPS hosting is powerful package and will allow you to do a lot more than you could do with a shared hosting package but it will cost you quite less as compared to a dedicated server hosting. Web hosting is tricky and requires one to have complete knowledge of all the nuances that are associated with the hosting. There are a number of options to choose from for servers to host your website. Shared hosting is cheap but the resources that are available are limited. Dedicated servers are very expensive. A VPS hosting package is the perfect solution to hosting which is affordable. This entry was posted in web hosting and tagged dedicated servers, shared hosting, VPS hosting, vps server on October 16, 2011 by luqman.